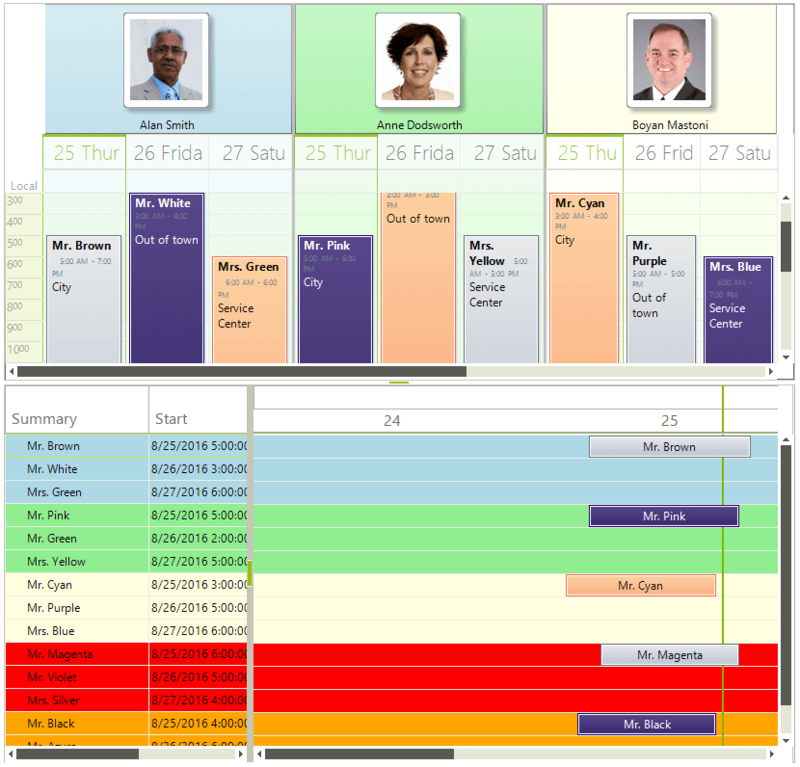 This example will demonstrate how RadGanttView integrates with RadScheduler, allowing you to show the appointments from RadScheduler in RadGanttView. Editing any data in one control is immediately reflected in the other. The integration can be achieved with any control/component out there. The only condition is that the control/component implements the IGanttViewDataProvider interface. Then you assign an instance of the type that implements the interface to the DataProvider property of RadGanttView and you are good to go.